We would like to especially acknowledge Tania Mihailuk (Member for Bankstown) as a champion supporter of restoring the Inner West Line to Liverpool/Bankstown via Regents Park. 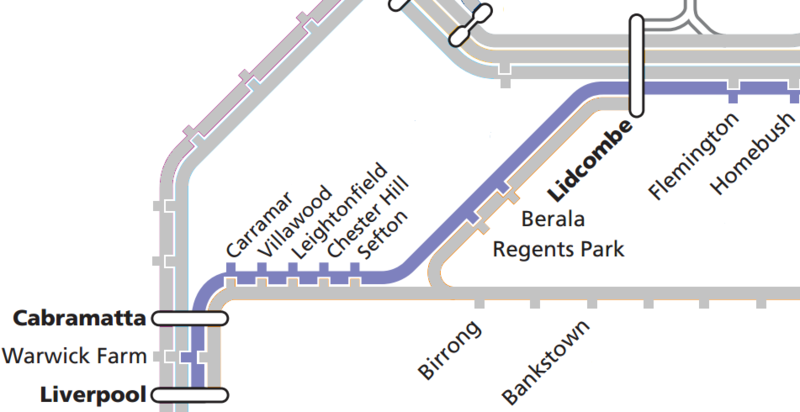 The original Inner West Line serviced all stations from City to Liverpool via Regents Park from 1924 until October 2013. Trains from City to Bankstown via Regents Park were also part of the Inner West Line until its removal in October 2013. Labor has previously announced it will cancel the conversion of the Sydenham to Bankstown line for Sydney Metro given that it does not provide new rail and due to the disruptions associated with the line shutdown. The Sydenham to Bankstown Metro line would also force at least 19,000 commuters west of Bankstown from 9 stations to interchange for trains to the City Circle. The motion to restore the Inner West Line to Liverpool via Regents Park as part of Labor’s Building Sustainable Communities policy was adopted at the 2018 NSW Labor Conference.